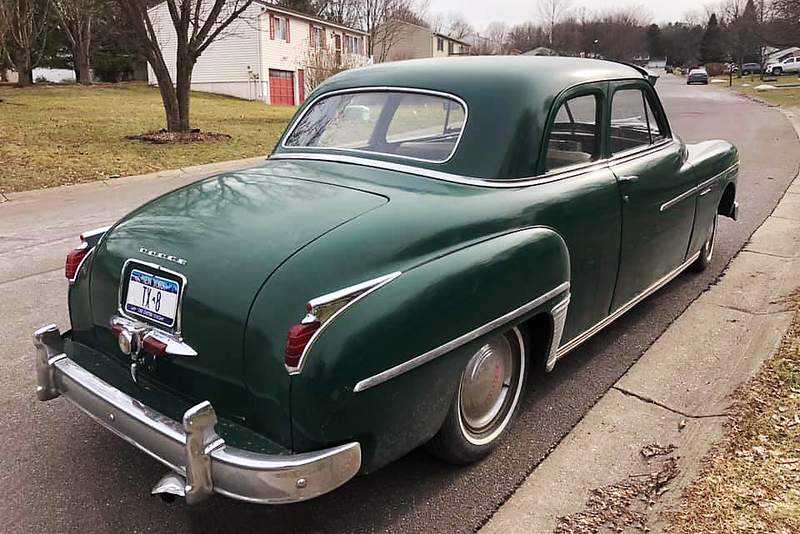 March 15, 2019 By Editor & filed under Classic Car Member Rides. I just bought my 1949 Dodge Coronet for my 70th birthday. Maybe the Coronet and I were born the same day. It’s painted in St. Patrick’s Day green, and is a one-owner car. I purchased the car from a friend, whose dad owned a grocery store and bought it brand new 70 years ago. 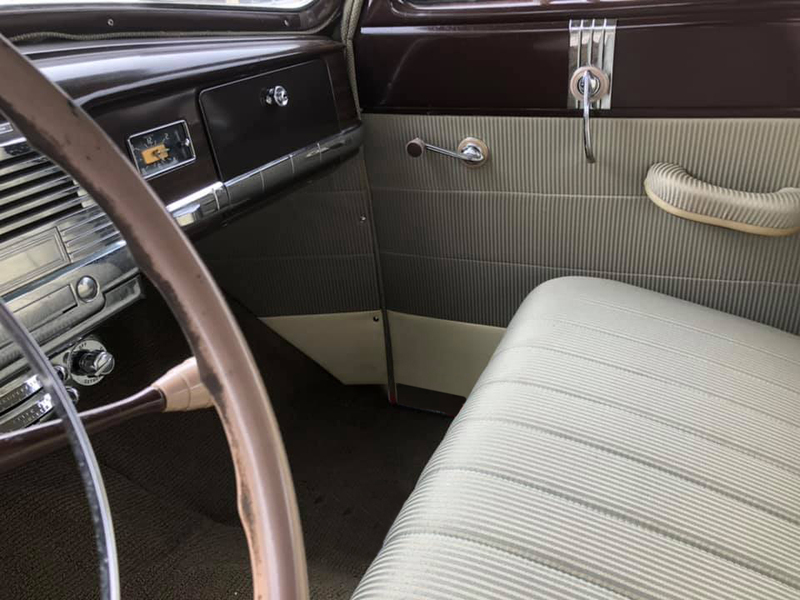 The ’49 Dodge had been professionally re-painted about 20-years ago and also had the interior redone at that time. Other wise the car is mostly original and sounds 1949 beautiful! This is my favorite car so far, as I also have a black 1949 Plymouth 4 door, a 1976 MG Midget and a 1997 Dodge 1 ton dually extended cab with a Cummins. Yes I love Mopars, but any other old car is a close second. Looking to add or re-build an old dirt modified, next.